Everyone wants to have a clean, germ-free house but in our busy everyday life this is really hard to be accomplished. We have to sacrifice our weekend – the time for rest and pleasure activities and complete the cleaning chores we couldn’t along the week. To be honest with you I think managing a house is a full time job stressful and tiring, which we try to transform into simple daily and weekly chores but unfortunately this way the work is half-way finished. In our struggle to keep the house clean and bacteria free, we pay attention to some places and totally neglect others which is a big mistake. For example most people think the bathroom is the dirtiest place around the house and focus their efforts there forgetting about the microwave. There are many other examples I can give you but there is no point because I suppose you know what are the places getting less attention. The solution is to make a schedule and take care for one room at a day with all the adjacent stuff. For example Monday is the day when you clean the living room, which means you get rid of old magazines and newspapers, clean the dust form the furniture, vacuum the upholstery, clean carpets and rugs etc. Of course this doesn’t mean you can neglect the other daily chores like mopping the floors and washing the dishes. It seems like a lot of work and to be honest with you it is, tiring and ungrateful but if you have the support of the rest of the family things get done a little faster and easier. Another useful tip which may help you is to keep the cleaning supplies organized, I have a kit in every room except the children’s. This saves me a lot if time because everything I need is in a basket and I don’t have to look for carpet cleaning solutions and tools. Here you can find some useful tips to keep your home carpet clean. Another thing you may try is spot cleaning, when you are in a room and you see something which is not where it belongs put it back. If there is a stain on the table get a towel and remove it, that way you’ll build up a habit which is really useful. But I got a little distracted I was going to tell you about the dirtiest places around the house. At the beginning I started the comparison with the bathroom and it is right to continue because people really believe this is the dirtiest place. 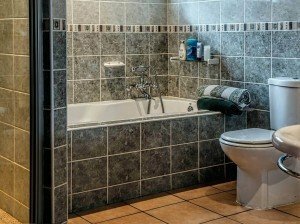 The first thing is 4,000 times dirtier than the toilet, it contains many different micro-organisms and bacteria some of which can be harmful to people. I bet you’re wondering what is this place, well you use it every day without paying any attention to it – the carpet. Surprising isn’t it? Get ready because the next ones are going to blow your mind. Another thing you use everyday, most people spend more than eight hours in front of it – the computer. Make sure you clean it everyday more than once if necessary with disinfectant because most stomach viruses are caused by people who don’t keep their keyboards clean. Back at home is the kitchen sink which surely is dirtier than the entire bathroom, luckily there are great cleaning solutions which are able to eliminate any kind of germs and bacteria. I don’t think there is any need to explain that the kitchen sponge is the biggest breeder for germs around the house so make sure you change it regularly.